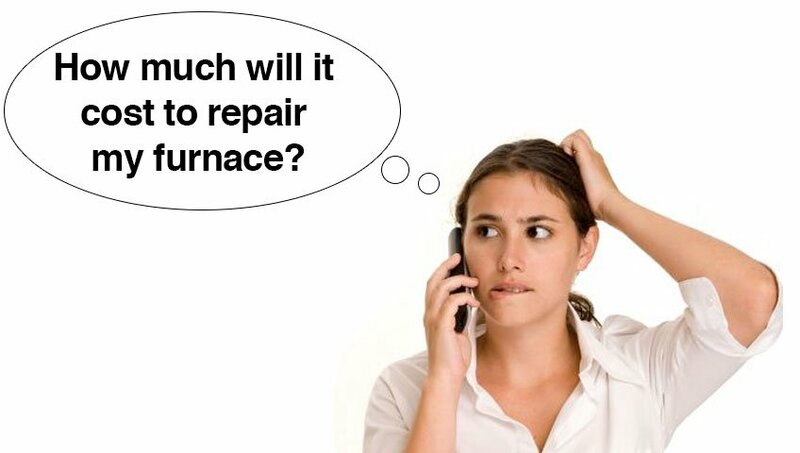 How Much Does it Cost to Repair a Furnace in Edmonton? J.W. Brian Mechanical. Plumbing and Heating.Tips and AdviceFurnacesHow Much Does it Cost to Repair a Furnace in Edmonton? Plain and simple, if you live in Edmonton it’s nearly impossible to live without a working, reliable furnace in your home. We might not need heat during the warmer summers months from May to August, but come September it’s an absolute necessity; especially when temperatures dip to below 0°C. Here at JW Brian Mechanical, we’ve diagnosed and repaired hundreds of furnaces in the Edmonton and surrounding area on all makes and models. To help prepare you for the day that your furnace is suddenly rattling or fails to produce heat, we’d like to share some of our relevant knowledge on this topic. Through this guide, we will answer one of the most common questions customers ask us: “how much will it cost to fix my furnace?”. As you’ll see below, there are a number of variables that will determine the final cost of a furnace repair. We will attempt here to give a reasonable approximation so at the very least you’ll have some idea of what to expect. 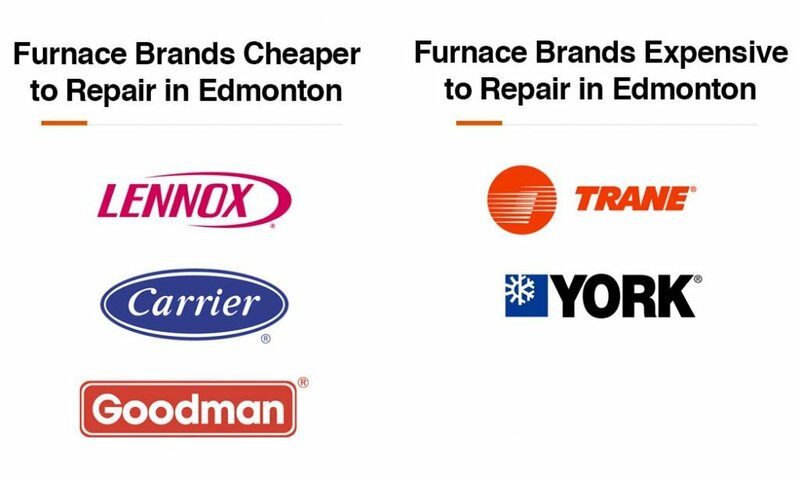 Note: the below cost approximations are based upon our experience and proven track record of servicing hundreds of furnaces in Edmonton, Alberta. Although we stand by these figures, the final cost may vary depending on the contractor you hire. In our experience the average cost to repair a furnace in Edmonton ranges from $300.00 to $1,500.00 and averages out to around $700.00. This is influenced by several factors which we will break down further below. The age, brand, & model of your furnace. All legit companies who offer furnace repair services will have a dispatch and diagnostic fee of some type. These fees are to cover the cost of doing business and vary between companies. Please call 780-249-1496 for our dispatch and diagnostic fees. The age, brand & model will influence the cost of repair. Concerning age, we have found a simple rule-of-thumb applies: older furnaces tend to be more affordable to repair than newer furnaces. This is due to the fact that the components for older furnaces are old technology, while newer furnaces use higher tech components that are more expensive to replace. As well , the brand of your furnace will influence the cost of the replacement components. The more common brands in Edmonton are: Lennox, Carrier, Goodman, Trane, and York. In addition to the age, brand & model of your furnace, it’s important to consider the contractor’s cost of labour. Due to the rate variance between contractors in Edmonton, you’ll likely need to do some research and asking around to find more information on installation fees. 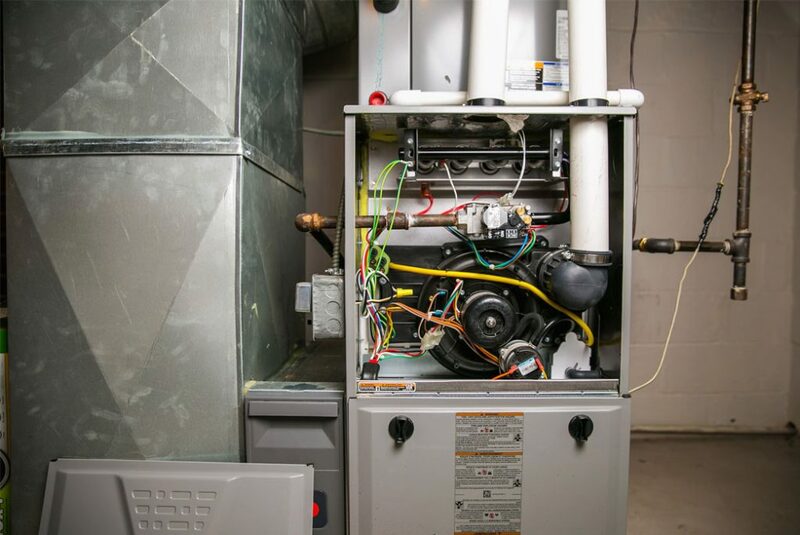 Furnaces are built to last and with proper maintenance and care should provide years of service , but there is no denying some components will wear out and need to be replaced in time. Pinpointing the affecting issue in a broken furnace can be daunting without professional help. Up until now, we’ve covered three factors in determining the approximate cost to repair a furnace. The final determining factor is the actual cost of the defective component that is preventing your furnace from working as it should. Outlined below are 4 of the more common components we replace in the Edmonton area and they’re approximate costs. Draft inducer – the draft inducer is essentially a small fan that pulls the products of combustion through the heat exchanger. Draft inducers typically cost between $400.00 and $900.00. Blower motor – implied within the name, the blower motor pushes and circulates hot air from the furnace into your home over the heat exchanger. The cost for this component is $400.00 – $1,500.00. Gas valves – the gas valve regulates and controls the flow of gas to the burners, and are integral to the appliance’s performance. There are various types of gas valves, the cost of this component is from $400.00 to $1,000.00.